We here at SolidBox value productivity above all in our applications and of course, our hardware. Each week, we’ll be giving you a tip to help you enhance your productivity with SolidWorks specifically. Sorry, we can’t help you with the hours you spend on Youtube each week watching cat videos, but hopefully you can learn something to make your SolidWorks experience easier. 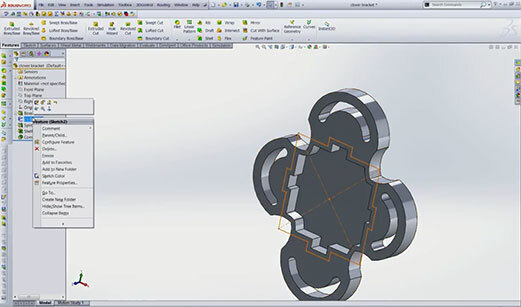 This week we’ll discuss Shelling in SolidWorks 2013. This example came up recently when modeling this slotted plate. How do you shell a specific area of a solid-body part, while leaving others unshelled? Learn how in this video!